Majestouch MINILA is the Mini layout version of Majestouch and we've made it as compact as possible by sharing Function keys with other keys. It has the same key pitch as our famous Majestouch keyboards. ★It can be paired with Bluetooth equipped products up to three devices! ★Energy-efficient Bluetooth 3.0 is applied! 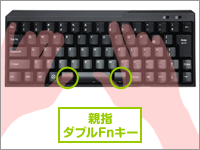 Pressing FN key and E/S/D/F simultaneously corresponds to ↑/←/↓/→ respectively. With this solution, you can keep your home position and still you get to type arrows very easily. 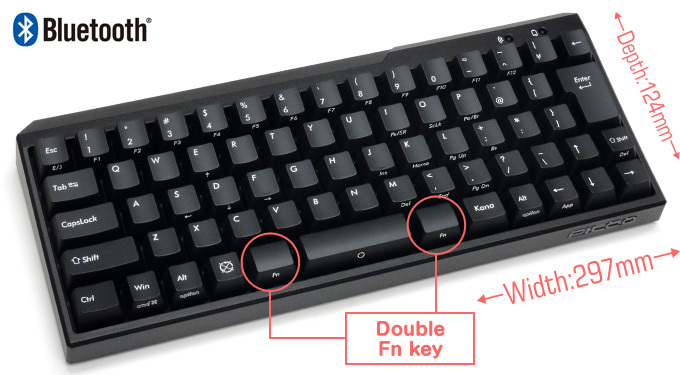 Pressing FN key plus [:;] key simultaneously functions as backspace. Those combinations will offer you a faster typing environment. We have 4 keys available for you to choose, Blue / Brown / Black /Red. A long key stroke of 4mm and the contact point at 2mm between the key strokes. Known as tactile, there is a very soft click as you reach the contact point. With the light pressure spring, it makes typing action easy, fast and stress free. A long key stroke of 4mm and the contact point at 2mm between the key strokes. 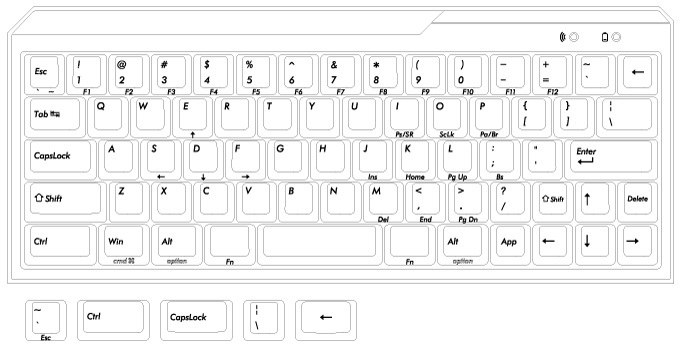 DIP switch is located on the back of the keyboard for setting key codes. The factory default setting is OFF. **Extra keycaps included for exchanged key codes by DIP switches. 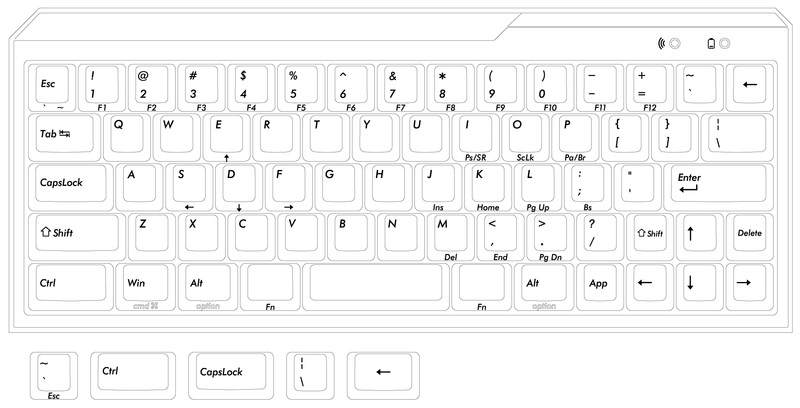 **You can type in cursor keys or modifiers lettered on a front side by pressing FN key at the same time. However Android Tablet may not all be compatible with this product due to a different specification environment developed by each manufacturer or a certain factor caused by a host device.